Utilizing our knowledge and expertise gained over the years, we have been able to keep pace with the dynamic needs of the customers. 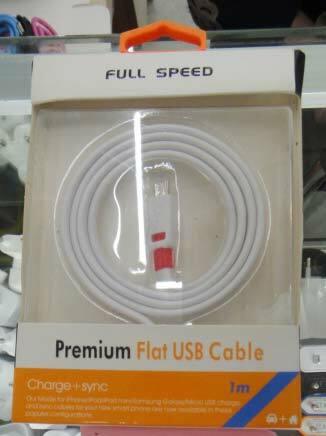 We provide the absolute quality in the form of Mobile Phone USB Cable to our customers. It is manufactured by using top notch raw material in stringent conformity with industrial criteria of quality. It is ensured by purchasing it from consistent vendors.